b. 7 Oct. 1778, 5th s. of Henry, 1st earl of Uxbridge (d. 1812), and Jane Champagné; bro. of Hon. Arthur Paget†, Hon. Berkeley Thomas Paget*, Hon. Edward Paget†, Henry William, Lord Paget† and Hon. William Paget†. educ. ?Portsmouth naval acad. to 1790. m. 7 Mar. 1805, Elizabeth Araminta, da. and coh. of Henry Monck of Foure, co. Westmeath, 4s. (1 d.v.p.) 6da. (1 d.v.p.). KCH 19 Oct. 1819; kntd. 3 Dec. 1822; GCH 3 Mar. 1823. d. 29 Jan. 1839. Entered RN 1790, midshipman 1793, lt. 1797, cdr. 1797, capt. 1797, r.-adm. 1823, v.-adm. 1837; capt. royal yacht 1819-21; c.-in-c. Cork 1828-31, N. America 1837-d. When the crisis passed, he paired for the second reading of the Irish reform bill, 25 May, and against a Conservative amendment to the Scottish measure, 1 June. He divided with government on Portugal, 9 Feb. and military punishments, 16 Feb., and paired with them on the Russian-Dutch loan, 12, 16 July 1832. 2. UCNW, Plas Newydd mss i. 202, 203; N. Wales Gazette, 9, 16 Mar. 1820. 3. Rev. E.C. Paget, Mem. Hon. Sir C. Paget (1913 edn. ), 84. 4. N. Wales Gazette, 9, 16, 23 Aug. 1821. 5. Paget, 85; Plas Newydd mss i. 204-8; Caernarvon Advertiser, 9, 16, Feb. 1822. 7. The Times, 2 Apr. 1824. 8. Add. 40365, f. 94. 9. HLRO, Hist. Coll. 379, Grey Bennet diary, 44; The Times, 19 Apr. 1825. 10. Session of Parl. 1825, p. 479. 11. Add. 48405B, f. 123. 12. G.I.T. Machin, 'Catholic Emancipation as an Issue in North Welsh Politics, 1825-1829', Trans. Hon. Soc. Cymmrodorion (1962), 85-86; Paget, 86. 13. Plas Newydd mss i. 215 (copy). 14. Ibid. i. 221-6, 317, 318; Ll. Jones, 'Sir Charles Paget and the Caern. Boroughs, 1830-32', Trans. Caern. Hist. Soc. xxi (1960), 86-87; Paget Brothers ed. Lord Hylton, 312; Add. 48405B, f. 127. 16. Wellington mss WP1/941/11, 14; Arbuthnot Jnl. ii. 197. 17. PRO NI, Anglesey mss D619/32/A/3/8, 61; Dublin Evening Post, 13, 17, 22 Jan. 1829. 18. Anglesey mss 32/A/3/126; Dublin Evening Post, 7 May 1829; Mq. of Anglesey, One Leg, 222-3. 19. Plas Newydd mss i. 376, 379, 386, 388-91, 393, 394, 397, 402-5, 407, 409, 411, 422, 425, 426, 430, 432, 488, 494. 20. Ibid. i. 394, 395, 398, 410, 433, 439, 443, 444. 22. Add. 38758, f. 198; 51568, Anglesey to Holland, 17 July; Plas Newydd mss i. 441, 446, 474, 476, 478, 480, 486, 488, 449, 494, ii. 218; Chester Courant, 20 July, 10 Aug. 1830. 23. 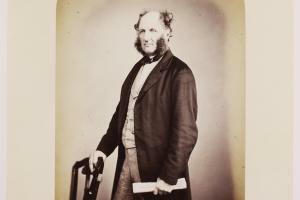 Sir James Graham mss (IHR microfilm XR 80), 1 bdle. 4, Graham to Smith Stanley, 6 Jan. 1831; Lord William Paget mss (held privately at Plas Newydd) 7M/644G/3/124, 130, 153, 154 (1 and 2), 156 (1 and 2). 24. Anglesey mss 32G, p. 14. 25. Ibid. 32/A/3/1/214, 218, 219; Plas Newydd mss i. 565. 26. Plas Newydd mss i. 567, 568; Caern. Herald, 30 Apr. 1831. 27. Add. 51568, Anglesey to Holland, 3 May; Anglesey mss 27B/15, 18; Caern. Herald, 7, 14 May; Seren Gomer (1831), 191; Jones, Trans. Caern. Hist. Soc. xxi. 91-94. 28. Plas Newydd mss i. 572, 578, 583, 585, 591-3, 595, 635; vii. 289. 29. Ll. Jones, 'Edition of Corresp. of 1st mq. of Anglesey relating to General Elections of 1830, 1831 and 1832 in Caern. and Anglesey' (Univ. of Liverpool M.A. thesis, 1956), 507. 30. Chester Chron. 20 May 1821. 31. W. Suss RO, Goodwood mss 1520, ff. 132, 149; 1450, f. 127. 32. Ibid. 648, f. 85; Paget, 88. 33. Ibid. 1435, f. 138; Jones, thesis, 515. 34. Plas Newydd mss iii. 3673. 35. Ibid. i. 618; iii. 3585, 3659-61, 3666, 3667; Jones, Trans. Caern. Hist. Soc. xxi. 92-95. 36. Plas Newydd mss iii. 3539. 37. Goodwood mss 1459, f. 504; 1521, f. 206. 38. Caernarvon Herald, 14 July 1832; Plas Newydd mss iii. 3588. 39. Plas Newydd mss i. 73; iii. 3589, 3592, 3593, 3596, 3675; vii. 307; Goodwood mss 1436, ff. 362, 370, 371; 1460, f. 123. 40. Plas Newydd mss ii. 366; iii. 3576, 3578, 3580, 3606, 3610, 3612, 3620, 3623, 3568-70, 3625, 3629, 3633, 3705, 3736. 41. N. Wales Chron. 18, 25 Sept.; The Times, 19 Oct., 15 Dec. 1832, 5 Jan. 1833; Jones, Trans. Caern. Hist. Soc. xxi. 97-98; T.M. 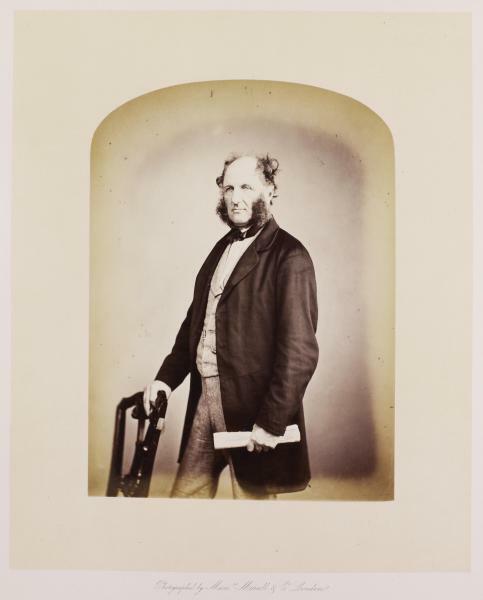 Bassett, 'Y Bedyddwyr yng Ngwleidyddiaeth Sir Caernarfon, 1832-1868', Trans. Caern. Hist. Soc. (1981), 129-34; Plas Newydd mss vii. 309-22. 42. Gent. Mag. (1839), i. 657; Paget, 103.